Most adults experience some form of persistent physical pain, and for many it is located in their shoulder. A torn Rotator Cuff is one of the leading causes of shoulder pain and weakness, and is estimated to impact over 2 million lives in the United States. Calcific Tendinitis is a condition that can cause intense shoulder pain that usually comes on suddenly. The pain severity can be so intense that some patients go to the emergency room for treatment when the pain starts. Your Rotator Cuff is: A group of muscles and tendons that connect the humerus (upper arm bone) to your shoulder’s ball and socket joint. The rotator cuff enables you to rotate and lift your arm, and also helps stabilize your shoulder joint. Calcific Tendinitis is: A result of calcium building up in the shoulder’s tendons. Pain and stiffness can occur, and last for months. Initial phase of injury is typically the result of the Bursa—a lining of tissue over the rotator cuff —rubbing against the acromionbone above it. A small, or partial tendon tear can progress to a large or even complete tear. The source of a tear can be acute, meaning immediately from an injury such as falling, or it can come from degenerative wear overtime due to overuse. The calcium that causes this condition, usually builds up inside of the rotator cuff. The shoulder pain makes it difficult to rest or lie down. Calcific Tendinitis mostly impacts adults between the ages of 30 and 50 years of age. 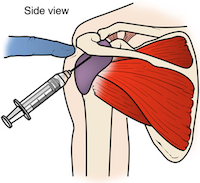 The shoulder is a ball-and-socket joint with a relatively small socket. Shoulder pain from rotator cuff injury is usually a result of inflammation, but it can also be from small to large tendon tear. 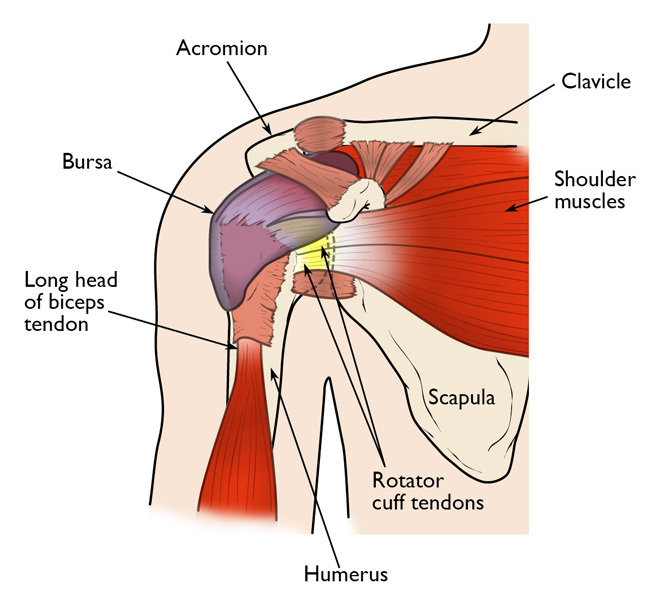 An Inflamed Rotator Cuff: Is typically the result of the Bursa—a lining of tissue between the rotator cuff that counters friction in the shoulder joint—rubbing against the acromion bone which sits above the rotator cuff. Tendinitis and Bursitis are common results of the friction, and both share the symptom of intense and painful inflammation. The symptoms can be worse if your shoulder has spurs, or sharp edges on the acromion bone. A Torn Rotator Cuff: The result of ongoing irritation and inflammation of your rotator cuff tendons, causing them to become weak and vulnerable to tearing, both during physically activity, and slowly over time. Untreated, damage will progress toward a complete tendon tear. Partial tear: The tendon tears, but does not fully detach from the bone. 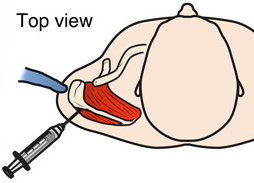 Complete tear: The tendon fully detaches from the bone. (Left) A side view of the four tendons that form the rotator cuff. (Right) A common full-thickness tear of the supraspinatus tendon portion of the rotator cuff. 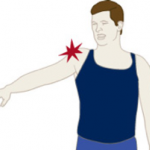 Acute Tear: Sudden force to your shoulder, such as falling down or lifting something too heavy, can cause the rotator cuff to tear immediately. Tendon degeneration is the weakening of the tendons in your shoulder over time, resulting in small tears that grow larger if untreated. A degenerative tear in one of your shoulders increases your chances of a tear in your opposite shoulder. Repetitive activity: Activities such as baseball, tennis, rowing, and weightlifting repeat the same shoulder motions and can put you at risk. 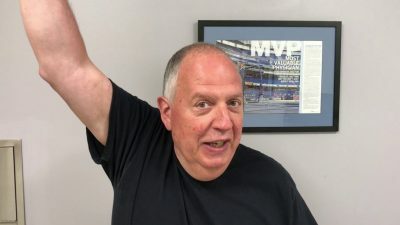 Lack of blood supply: With age, the blood supply in our rotator cuff tendons decreases, and our ability to naturally repair tendon damage is impaired. Bone spurs: These bony projections frequently develop on the underside of the acromion bone. When we lift our arms, the spurs rub against the rotator cuff tendon. This condition is called shoulder impingement, and over time weakens the tendon and makes it more likely to tear. These tests can often be performed the same day as your initial evaluation in effort to save you time. Our treatment goals are simple—reduce pain, restore function, get you back in the game. 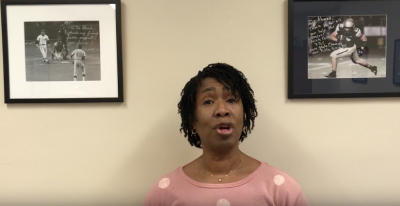 There are several treatment options for a rotator cuff tear, and the best option is different for every person. If you are experiencing intense shoulder pain, you may have a rotator cuff tear—do not continue to keep using your arm. Instead seek medical attention to determine the severity of your injury. Nonsteroidal anti-inflammatory medication: Medications like ibuprofen and naproxen reduce pain and swelling. Strengthening exercises and Physical Therapy: Rotator cuff specific exercises can restore movement and strengthen your shoulder. Cortisone injection: Cortisone is an anti-inflammatory medicine that acts rapidly, effectively, and avoids side effects to other parts of your body. 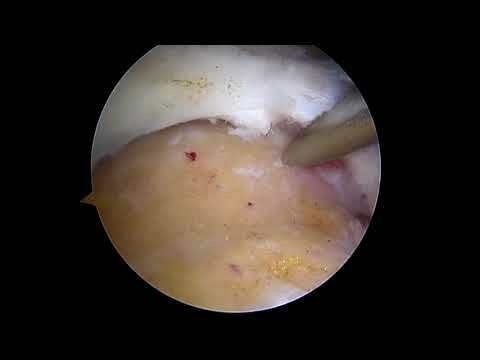 Surgery to repair a torn rotator cuff most often involves re-attaching the tendon to its normal bone attachment site. The treatment of calcific tendinitis is similar to that of rotator cuff injuries. Some patients fail to respond to the non-operative treatment and symptoms continue. 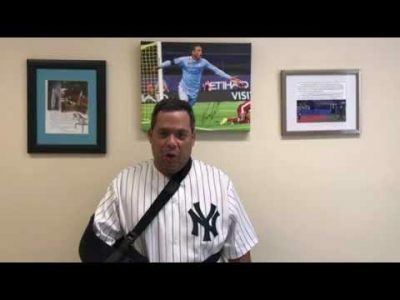 For these patients Dr. Ahmad recommends arthroscopic removal of the calcium, and possible repair of the rotator cuff. Surgery for removal of the calcium has a high success rate and patients have great satisfaction with their pain relief restored motion function and ability to get back to the things they like doing. 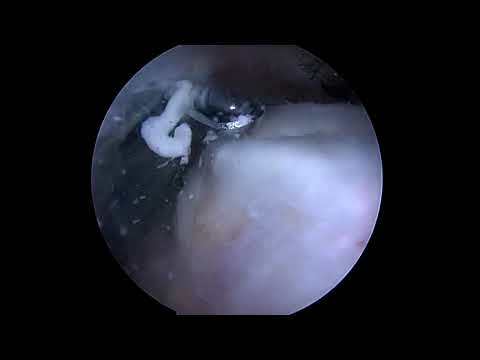 Dr. Ahmad is nationally recognized expert in rotator cuff surgery has designed and studied the optimal methods to surgical repair tears of the rotator cuff. His undergraduate training in mechanical engineering has allowed him to research the strength of the rotator cuff repair and methods that accelerate healing. Dr. Ahmad has performed nearly 1000 rotator cuff repairs in all types of patients from professional pitchers, orthopedic surgeons themselves, to those who enjoy relaxing gardening. Listed below is Dr. Ahmad’s scholarly articles and research published to help advance rotator cuff medicine. ElAttrache N, Hodgins J, Gonzales-Lomas G, Ahmad CS, “The Shoulder in Athletes”, Rockwood and Matsen’s The Shoulder, Elsevier Saunders, Philadelphia, August 2016.